I asked again; she said yes. The holidays always make me think of my grandparents. When I saw the prompt for the Sometimes Steller Storyteller Six Word Story Challenge (that’s a mouthful) my mind immediately went to their 50th wedding anniversary. Now, as an adult, I can recognize that there was little happy about that event. But that comes with knowing the backstory I wasn’t privy to then. I was young, and to me, it was a joyous occasion. I wanted that kind of love – the kind that could make a woman say yes again to her husband, even after 50 years. A big thank you to Sometimes Stellar Storyteller for the prompt Joyous, and please, dear readers, know that this contest’s winner is chosen by “likes” generated on the comment on the original post. I am linking my six sentence story here, if you’d be so kind as it give it a like, and check out the other amazing entries. Thank you. before you lost enough to turn you into the man you are. As the year dwindles to mere days, it brings along these familiar words. This week’s theme is centered around the coldest season of the year, its traits and the celebrations it brings along with it. 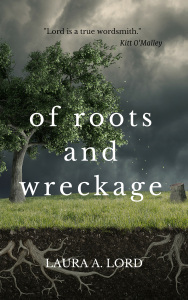 Of Roots and Wreckage Launch! This has been, by far, the best book launch ever. You…all of you…have made this possible. I won’t bore you with all my slobbery sappiness today, just know that you are all the best fans ever. Ever. Let’s get to the winner of our super, awesome, Ultimate Giveaway! Thank you to everyone who participated! For everyone who didn’t win on this particular giveaway, you can get your copy of my newest book on Amazon today! You can get your copy today! Here on Amazon! Still want to help out? Click the image above to send out a tweet letting everyone know where they can get their own copy of Of Roots and Wreckage! It’s the very LAST day for entries! Get them in while you still can! Click this image to send out a tweet and let everyone know we’re counting down! I’ll be tracking the tag #wrecktheroots and adding everyone who uses it to an ultimate giveaway! Each time you use the tag, you’ll be entered again! There’s no limit to how many times you can be entered. Want a chance to be the second awesome winner of this giveaway? That’s right! I’m giving away two of these packages! 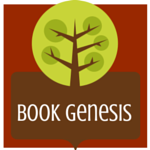 Click below to enter my Rafflecopter giveaway! You all are the best street team an author could ever hope for. Please know you are appreciated. Now let’s earn more entries! Only three more days! Are you excited? I’m freaking out over here. Yesterday was awesome! I can’t even begin to thank you for all the amazing hard work you are doing! Let’s keep it up! You’ve got even more chances to enter today! The countdown begins! We’ve got five more days until Of Roots and Wreckage is released! I’m so excited. This past month has been a blast and none of it would have been possible without you! So I want to do something special for these last few days of the launch. So help me finish this launch off in style! Click this image to send out a tweet and let everyone know we’re counting down! I’ll be tracking the tag #wrecktheroots and adding everyone who uses it to an ultimate giveaway! Each time you use the tag, you’ll be entered again! There’s no limit to how many times you can be entered. The Facebook Likes Contest was a success and the crowd was pretty clear, with Perjury being the highest voted book! So for one week enjoy this coupon for 50% off a hard copy of Perjury! Keep on the look-out for new contests and fantastic prizes! And remember if you subscribe to my mailing list you can earn another 50% off coupon good towards Wake Up a Woman. Click here to subscribe. When Are You Evicting that Baby? I have no idea! But maybe you do? 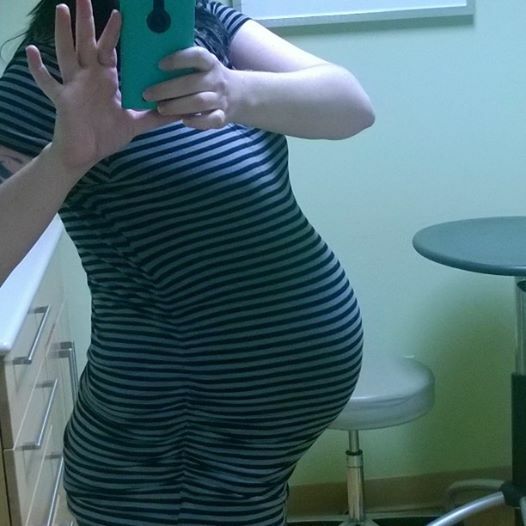 It’s time for a new contest and at 30 weeks, what’s more fun than a round of Guess the Due Date! – The doc’s predict he will be here January 22nd. – This is my third full term pregnancy. – I have a history of going into labor a couple of weeks early. Got your guess ready? Good, because the winners will get a free e-Book copy of the book, Loving in Shadow, by Ashlyn Kingsley (my pen name). One person will win the chance to receive a copy of my children’s book, The T-Rex That Ruined My Day. The 5 closest guesses will win copies of Loving in Shadow. The top (one) guess will receive the book, The T-Rex That Ruined My Day. To leave your guess – just leave a comment with the date you choose! Yesterday I had an appointment with the doctor for an ultrasound and blood work and all those wonderful things. Yeah…it basically went like that. By the end of it though, we got to see baby and find out that everything looks good. Baby is healthy and active and looking just right for 12 weeks. I showed the husband the pictures and he laughed and said it still looks like a mutant. I told him that he wouldn’t be very pretty stuck in water for that long either. In his defense, the 3D images of the baby were relatively frightening (hence why I am not posting them). Baby will be beautiful…in a few more months when it gets here and we can dry it off and dress it and such things. You want me to be one of those women who “Ooo” and “Aahh” over little grey film of something I still need help deciphering as to what part is what of this amazingly ever-changing little being? I’m not even the happy pregnant type. I’m the…give me my baby and let me get on with the mommy thing type. I’m ready to say a name. And we’ve got names picked out. 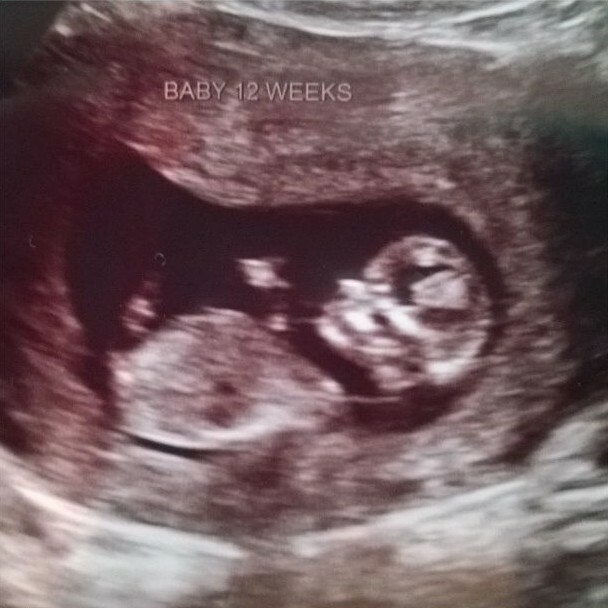 So let’s have some fun with this, since I can’t find out for six more weeks if this is a baby Lily or a baby Tommy. I want you to guess! Leave your guess in the comments below and in six more weeks all those who guessed right will win a free ebook copy of my newest book, Perjury.